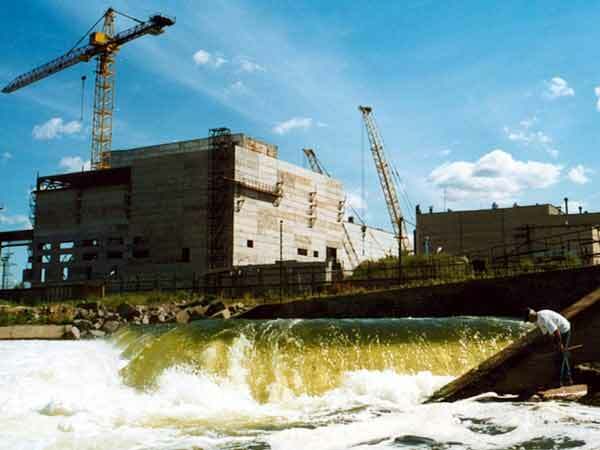 Leningrad Nuclear Power Plant (LNPP) is the biggest and one of the oldest NPP in the Baltic-Nordic Region. It is located near the nuclear city Sosnovy Bor, at the Baltic Sea, 80 km west of the center Saint Petersburg, 70 km from Estonia and 100 km from Finland. The first nuclear power unit based on water-cooled graphite-moderated High Capacity Channel type nuclear Reactors on thermal neutrons (Russian acronym RBMK-1000) having 1000 MW electric capacity was put into operation at LNPP in December 22,1973. It was the first Chernobyl type reactor in the World. The next LNPP units (the same design) began to generate electricity on Leningrad NPP in 1975, 1979 and 1981. The 3rd and 4th units of Leningrad NPP situated 2 km to the west from the 1st and 2nd units. The Schema of RBMK-1000 reactor. The reactor is placed on the support system inside the cavity and surrounded by the upper, low and site mounted biological shield. The reactor space is filled with graphite columns made up of stacks with centre holes penetrated by the Fuel Channels (FC) and the Control and Protection System (CPS) channels. Fuel assemblies of tabular fuel elements with nuclear fuel inside - uranium dioxide pellets -are placed inside the FC. The actuators - neutron absorption rods filled with boron carbide -are placed inside the CPS channels. In order to prevent the oxidation of the reactor graphite structure and to make its cooling better, a helium-and-nitrogen mixture circulates through the inner space of the reactor. The RBMK-1000 reactor is designed in such a way that the retubing of FC and CPS channels is possible on the shut down and cooled reactor. 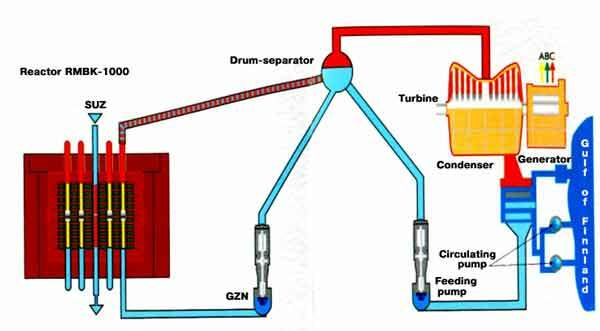 The spent fuel service refueling is possible with the refueling machine (RFM). Two TVV-500-2 turbo generators with 500 MW electric power each. Separated steam is delivered to the turbine blades and the water through the suction pipes - to the main coolant pumps (MCP) and back to the 1693 fuel channels. Dead steam is condensed in the turbine. The condensate is purified, heated and at 165°C is supplied, through the drum-separators, to the downcomers and then to the reactor. Water temperature at the reactor inlet is 270°C, steam-and water mixture at the reactor outlet comprises 14.5% of steam. The reactor and its auxiliary systems are housed in the separate buildings. Every two power units have a common Turbine Hall. They have common support shops and systems located in the vicinity of each generation. Every power unit use the 50 m3/sec of the natural coaling water from the Koporskaja Bay for the condensations of the dead steam after the turbine. So, the total capacity of LNPP (4 units) coaling Baltic Sea water system is 200 m3/sec. The design annual electric output is 28 billions kW•h. It is about 30% of the electricity production in Saint Petersburg region. The LNPP internal load is 8.0 - 8.5% of the generated power. RBMK-1000 type reactors did not require a very strong and expensive vessel, as did the Pressurized Water Reactor type (PWR). Moreover this reactor is very similar to plutonium production reactor for nuclear weapons. It is possible to produce plutonium for military purposes on RBMK-1000 too. There was a good deal of experience in operating this type of reactor in Russia. RBMK-1000 was therefore the cheapest reactor to design, construct and operate and a project for fast realization, that's why it was chosen in Soviet Union. The problem of maintaining high nuclear safety was not relevant for Russia at that time. 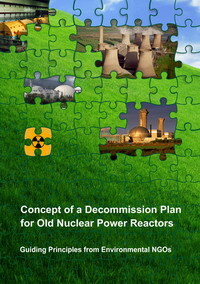 These design reactors were built only in the Soviet Union (Russia - 11 Leningrad NPP(4), Kursk NPP (4), Smolensk NPP (3); Ukraine - 4 Chernobyl NPP (4), Lithuania - 2 Ignalina NPP(2). 30-year operation history of the Leningrad NPP is full of accidents and incidents, many of which are still unknown to the public. The first of accident happened after the 2 weeks operation of the firs unit. 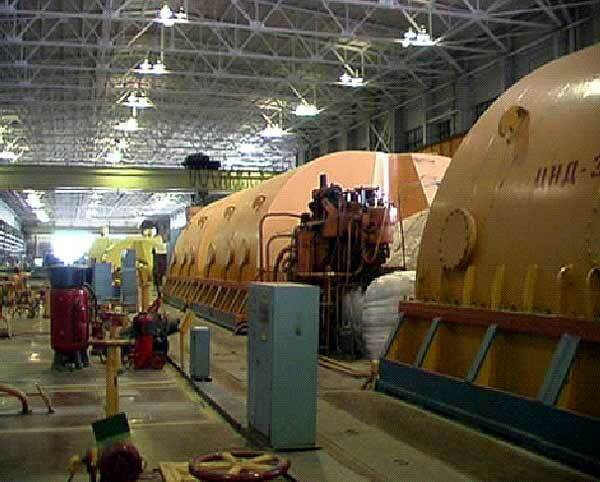 The total 200-year period of RBMK type reactors operation produced two severe accidents: Sosnovy Bor (1975, up to 1.5 millions Curie of emergency release) and Chernobyl (1986, more than 50 millions Curie was released). This means that actual frequency of severe accidents at such reactors is 1 time per 100 years, not per 100.000 years, as estimated by theoreticians. "The economic detriment caused by Chernobyl accident was 3 times larger than revenues of all Soviet nuclear power plants during 36 years of their operation, from 1954 to 1990"  Richard L. Hudson, "Cost of Chernobyl Nuclear Disaster Soars in New Study", Wall Street Journal, March 29, 1990]. January 7, 1974: (LNPP), 1st power unit. The explosion of concrete gas tank containing radioactive gas belonging to the RBMK-1000 reactor [3, 4]. No reported victims or releases. February 6, 1974: LNPP, 1st power unit. Rupture in the secondary circuit of RBMK-1000 [3,4]. Water boiling followed by pressure shock resulted in the release of contaminated water mixed with filter material into the environment. 3 persons died. No reported in mass-media. November 28 - December 30, 1975: LNPP, 1st power unit. Serious incident (3rd level according to the INES scale). The burnout (loss of water in the fuel channel) caused the degradation of nuclear fuel assemblies [3, 4, 5]. There are 1693 of them in the RBMK -1000 reactor. This resulted in the release of uranium fission products (Cs137, Cs134, Ce144, Sr90, etc.) and trans-urania (Pu238, Pu239, Am241 etc.) into the reactor graphite cladding. During the whole month (!!!) the emergency releases into air continued. In accordance with different estimates from 137 000 to 1.5 million Curie of activity got into the environment. Tons of liquid radioactive waste were discharged into the Baltic Sea. Immediately after the accident the radiation level in Sosnovy Bor (5 km from the affected power unit) was 600 mR/h . 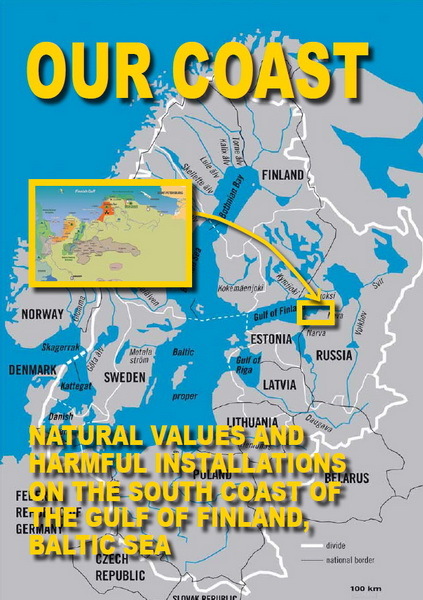 The exposed inhabitants of the Baltic region were not notified about the danger. No reported in mass-media. There has not been made the proper analysis of the accident causes, so practically the same accident was repeated in 1982 at the RBMK-1000 of the 1st power unit at the Chernobyl NPP . No reported in mass-media. No reported in mass-media. July 1976: Storage for the low and intermediate-level radioactive waste (LSK RADON, Building No. 465) Fire in one of the concrete vaults of the surface storage for solid radioactive waste of low- and medium-level activity . Incident of the 2nd level in the INES scale. The cause of fire: low culture of the LNPP solid waste management. The spontaneous ignition of inflammable waste occurred, presumably those were oiled cloths. During fire extinguishing with water the contaminated water mixture leaked through concrete structures. Ground water got contaminated with H3, Cs137, Sr90 and even Pu239. The later was registered in concentration up to 0.5 Bq/l . No reported in mass-media. Fire in one of the concrete vaults of the surface storage for solid radioactive waste of low- and medium-level activity. The 2nd level Incident in the INES scale. Scenario of the 1976 incident was repeated. The cause of fire: low culture of the LNPP solid radioactive waste management. It was the spontaneous ignition of the stored inflammable waste. Just like in 1976 the contaminated extinguishing water seeped through the concrete walls. Ground water near the storage got contaminated with radionuclides. No reported in mass-media. May 1 1986: Chernobyl on the South Coast of the Gulf of Finland. Radioactive fallout with rain (1000 km North of Chernobyl!) affected the South Gulf of Finland. Beside Sosnovy Bor about 30 communities of Lomonosov, Kingisepp and Volosovo Rayons were affected. The background radiation level grew by 10-15 times. Local authorities of Sosnovy Bor did not inform people about the radiological hazard. In accordance with medical statistics  the number of babies with inborn malformations in Sosnovy Bor grew 3 times. In 1985 it was 23.8 per 1000 born alive, in 1993 - 61.8 per 1000 live-borns. December 28 and 30 1990: LNPP, 1st power unit. During the reactor refurbishment  the gap between the fuel channels and the reactor graphite cladding was widened (it was contaminated during the accident of November 28 - December 30, 1975). The contaminated graphite was spilled. In the under-reactor space the level of gamma-radiation reached 2x104 mkR/sec., and alpha - 2x104 particles/cm2/min. 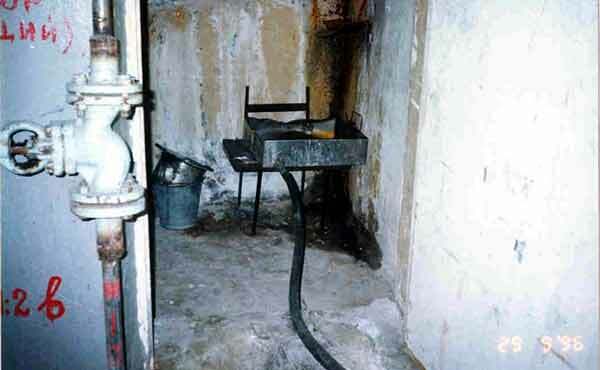 Due to the poor localization measures the contamination spread to adjacent rooms. The exposure levels considerably exceeded the level permissible (NRB-72/87) for rooms with restricted and free admission of personnel. Pu239 released from the LNPP was detected by the Sosnovy Bor radiological monitoring post 6 km West of the plant . No reported in mass-media. December 3, 1991: LNPP storage for unirradiated fuel. The container unloaded from the railway car into the storage was dropped and 10 fuel assemblies damaged . The incident happened because of faulty equipment and violation of safety rules. The personnel tried to conceal the fact of it from the plant administration and the public. No reported in mass-media. March 24, 1992: LNPP, 3rd power unit. The defect in one of the 1693 sealing valves caused loss of coolant in the fuel channel, which led to its imminent degradation. Actually, the scenario of 1975 was repeated. The accident development resulted in the volatile radioactive materials getting into the ventilation system and release into the atmosphere (4.000 Curie of inert gases and 2.5 Curie I131). The incident was assigned 3rd level of the INES scale. People learned about it from the mass media publications. It was the first case when LNPP administration published the information about the eccident. February 22, 1994: LNPP, 1st power unit. At the oldest reactor of Chernobyl series, just after the overhaul, the welded joint of a pipe failed. The water-steam mixture was ejected into the environment via the ventilation stack. The activity in air grew by a factor of 10 as compared to the background level. January 1996: LNPP, spent fuel storage facility, Building No. 428. The leak of radioactive water was detected (12 liters per day), The primitive system for the collection of leakages from the Spent Nuclear Fuelit contained isotopes of Cs137 and originated from the spent fuel storage pool. Building No. 428 is located 90 meters from the Baltic Sea. Half a year later the flow rate of leaking water grew to 144 liters per day, by march1997 it was 360 l per day. Finnish specialists from STUK helped to partially eliminate the leaks. May 28, 2000: LNPP, 1st power unit. A piece of rubber "left behind" after the maintenance blocked the coolant (water) circulation in a nuclear fuel channel. Only due to the fact that this was detected at the reactor start-up the accident did not follow the scenarios of 1975 and 1992. A similar incident (this time there was a piece of metal instead of rubber) took place in 1993 during the replacement of fuel channels in the 2nd power unit. October 19, 2000: LNPP, spent fuel storage facility. During the construction of the "dry" storage for spent nuclear fuel (no environmental impact statement has ever been published) the leak of radioactive water from the building of the "wet" storage was found (building 428). The contaminated soil (about 1.5 t) was transferred to the storage of solid radioactive waste. Leningrad NPP is the frontrunner among former Soviet nuclear power plants in terms of violations of the fire prevention regulations . Every year fire inspectors register up to 140 cases of such violations by the LNPP personnel. "Leningrad NPP without serious fires is sheer luck!" - that was the statement of Viktor Efimov, the chief fire brigade officer of Sosnovy Bor . The condition of LNPP equipment in 1996-97. During the overhaul of the 3rd power unit  all welded joints of D-300 pipes belonging to the forced circulating circuit were screened for faults. 370 cracks were found. There had been no such defects found during the previous operational availability checks. 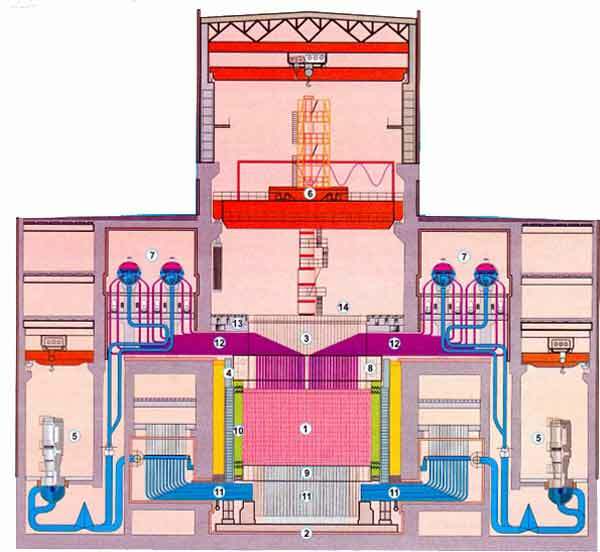 LNPP in 2001: The "youngest" 20-year old power unit 4 revealed the large-scale untimely ageing of the graphite cladding. This came as a surprise for atomic engineers and designers . [10, 13, 38, 39, 40, 44]. G.D. Volgin, the chief safety culture expert in the LNPP stated the following: "There are serious problems. Among heads of technological departments there are persons who do not understand the essence of safety culture. There are people who strongly believe that … safety culture, its structural and procedural elements are redundant and utterly burdening" . The popular attitude of LNPP employees is that working in strict compliance with Regulations poses an obstacle to productive activities. Inadequate work conditions exclude the fault-free operation of equipment, its proper installation and maintenance. The labor intensity is very high. There has been registered the compulsory unpaid work [13,14] and preventable personnel exposure; the recommendations of the International Commission for Radiological Protection (ICRP) are not followed . The unfair distribution of revenues results in the dramatic discrepancy between the incomes of rank-and-file employees and their managers, which causes the irritation among the plant personnel. The moral and psychological climate is really negative. Attempts to protect the rights lead to reprisals, groundless penalties, salary cuts and discharges. The LNPP personnel policy is not efficient; appointments via string pulling are common. That is why some ex-convicts sentenced for violating the laws of Criminal Code hold responsible positions in the LNPP. "Double standards" have become common practice, the LNPP routines and safety level undergo extensive window dressing before shown to the public. The neglect of safety culture causes failures and accidents. For example, on May 28, 2000 water supply to one of the 1693 fuel channels in operating reactor was blocked by a piece of rubber left behind by maintenance workers. This fuel channel could have been destructed by overheating and caused a local nuclear accident. And such cases are not a few [16, 17]. 3.2. ABSENCE OF EFFICIENT NUCLEAR SAFETY ENFORCEMENT [35, 36, 42]. In the "wet" storage the amount of spent nuclear fuel (SNF) has been increased by 40% above the design level (concentrated SNF storage). This is carried out in violation of requirements for the SNF management prescribed by the IAEA and Russian legislation. There have been leaks from storage pools into the environment. The amount of reactor plutonium kept in this storage facility is enough for manufacturing 3000 A-bombs similar to the one exploded in Nagasaki. The photo of the dry spent nuclear storage. The unit for disassembling spent fuel elements and "dry" SNF storage are under construction. The plant ECOMET- S for remelting the contaminated waste had been built by a private company and started operation on the LNPP territory. 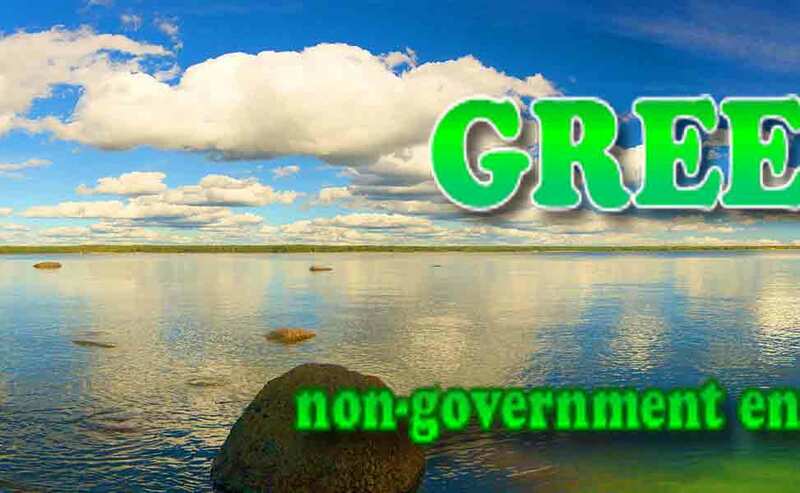 These violations of Russian legislation are possible thanks to the permissiveness of authorities and regulatory bodies (GAN, Sanitary Service, Ministry for Natural resources). 3.3. ATTEMPTS OF PUBLIC CONTROL ARE REBUFFED. The LNPP employee, member of the Green World NGO, Serghey Kharitonov informed the public about the LNPP violations of safety rules, for that he was at first dismissed from his operator's position and had to spend 28 months working in the change room of spent fuel storage, after that (June 2000) he was fired. 5 stainless steel construction elements (total weight 100 ton) were stolen from the LNPP guarded territory . Important functional components from 40 operating safety control devices were stolen, because they contained precious metals. The LNPP chief engineer Yu. V. Garusov classified this event as the disruption of the plant safe operation . The LNPP check point guard happened to be drunk at his work place . A section of the "hot telephone line" cable connecting the LNPP with government in Moscow was cut out by a criminal on July 22 1999 . Anatoly Volkov, head of the Sosnovy Bor police department, confirmed: "Lately on the LNPP territory several crimes against property have been committed … thefts of nonferrous metals, different instruments and computers". In this way the closed nuclear zone of Sosnovy Bor formally established for its protection from external terrorists and offenders is incapable in case of internal criminals. 3.5. FIREMEN ARE CONCERNED ABOUT THE LNPP SAFETY . "There have not yet been serious fires at the LNPP, which is just sheer luck " - this is the expert opinion of the head of Sosnovy Bor fire brigade. He also noted that each year the fire inspectors register up to 140 violations of the Fire safety rules [23,24]. This admission was made by the chief fire fighter of Sosnovy Bor after the completion of the EBRD programs for improving the LNPP safety. 3.6. ALCOHOL AT THE LNPP. The LNPP employees can work even intoxicated by alcohol. For example, October 12, 2000 the guards detained the drunk right on the LNPP premises . Such cases are possible, because the LNPP management is reluctant to introduce the pre-shift alcohol check. 3.7. DRUG ADDICTION AT THE LNPP. In 1998 two persons working in the NC died because of the heroin overdose . Several times the police detained LNPP employees buying heroin [27,28]. The LNPP has no system of screening the personnel for drug use. 3.8. THE LNPP PRACTICES THE SHADOW FINANCIAL POLICY. Starting from 1994 the LNPP management conducted the inefficient financial policy with extensive use of barter deals, bills of exchange, multiple brokers' companies (over 60) founded by the dummy parties, which used forged documents. This practice inflicted a serious detriment to the state and LNPP economy [29, 30]. In 1996 and 1999-2000 the shadow economy of the LNPP management caused public conflicts, strikes and unstable operation of the plant units. In February 2001 the Sosnovy Bor tax police found that the plant withheld about 135 million rubles (over $4 million) of tax money. After filing a suit the LNPP management paid 371 million rubles (over $12 million) [31,32,33,34]. 3.9. THE LNPP BACKS DIRTY TECHNOLOGIES [45, 46]. American company Alutech Corporation is eager to invest $70 million into one of the power units so that it supplied electricity for the aluminum giant having the annual output of 360.000 t. The aluminum plant is planned for construction a few kilometers away from the LNPP on the Baltic Sea shore (100 km from St. Petersburg and Finland, 35 km from Estonia). 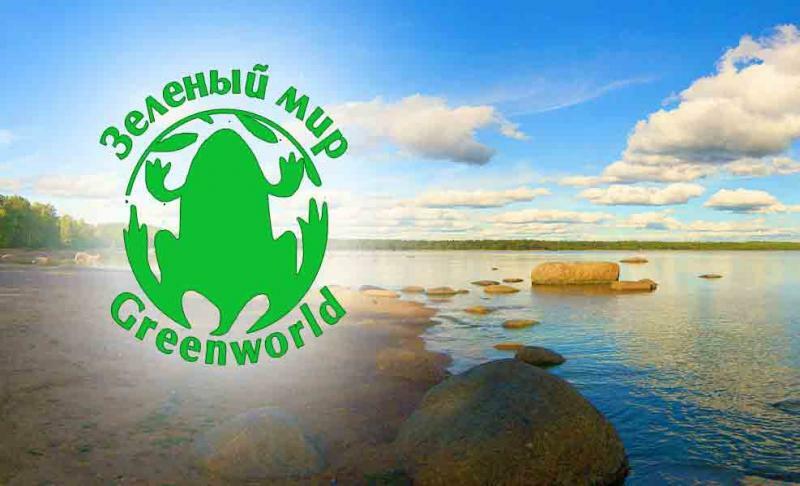 The idea is supported by the LNPP management and Leningrad Oblast government, but this perspective arouses protests of the people living on the South coast of the Gulf of Finland. 3.10. THE IN-DEPTH SAFETY ASSESSMENT . THE IN-DEPTH SAFETY ASSESSMENT of the LNPP power unit 2 (first generation of Chernobyl type reactors) was performed by Russian experts (NIKIET, Kurchatov Institute, VNIPIET, VNIKIET) together with Western counterparts Walter Pasedag (the US Department of Energy), Steven Foil (GB Ministry of Industry and Trade), Lars G. Larsson (Chairman of the Coordination Committee, Sweden), Heiko Reponen (Finland). The assessment has proved that the probability of severe core degradation is higher (1.5x10-4) than regulated by Western standards. 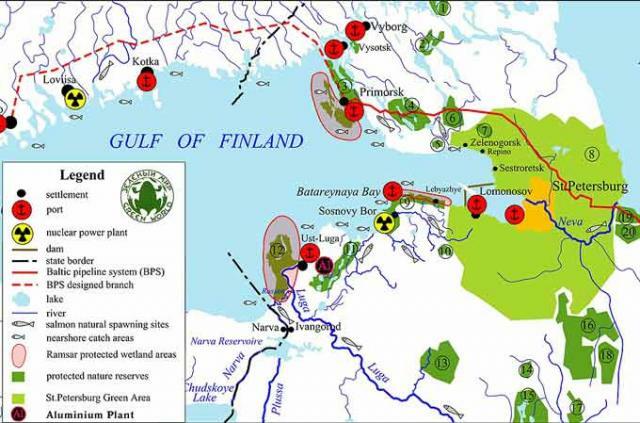 thermal pollution of coastal waters of the Baltic Sea inflicted by the heated water discharged by the Leningrad NPP (200 m3/second) has resulted in the anthropogenic eutrophication (accelerated ageing) of Koporskaya Bay of the Gulf of Finland. Negative consequences of this phenomenon have been studied during 20 years and forecast of its dynamics has been made by the regional ecolaboratory in Sosnovy Bor. The 30-year cycle of independent environmental studies performed by this laboratory was recently interrupted - the laboratory was closed. 1. Richard L. Hudson, "Cost of Chernobyl Nuclear Disaster Soars in New Study", Wall Street Journal, March 29, 1990. 2. "Sosnovy Bor", authors: Yu.M. Ivanenko, A.I. Staselko, I.G. Alekseeva, S.A. Bushueva, "Liki Rossii" Publishing House, St. Petersburg, 1998.- 271 p.
3. Nuclear Encyclopedia, chief editor A.A. Yaroshinskaya.- Moscow: the Charity Fund of Yaroshinskaya, 1996.- 656p. 4. V.M. Kuznetsov, Russian Nuclear Power Engineering Yesterday, Today, Tomorrow. Opinion of independent expert. - Moscow: National press institute, 2000. - 288 p.
5. V.A, Melnikov, N.B. Malevannaya, Radiological Safety During the Operation of Nuclear Complex in Sosnovy Bor. - presentation at the international conference ENERGY. ECOLOGY. SAFETY, May 25-27 1999, Sosnovy Bor. 7. A.V. Nosovsky, magazine "Ecology and Atomic Energy", No.2 1999, p. 58. 8. 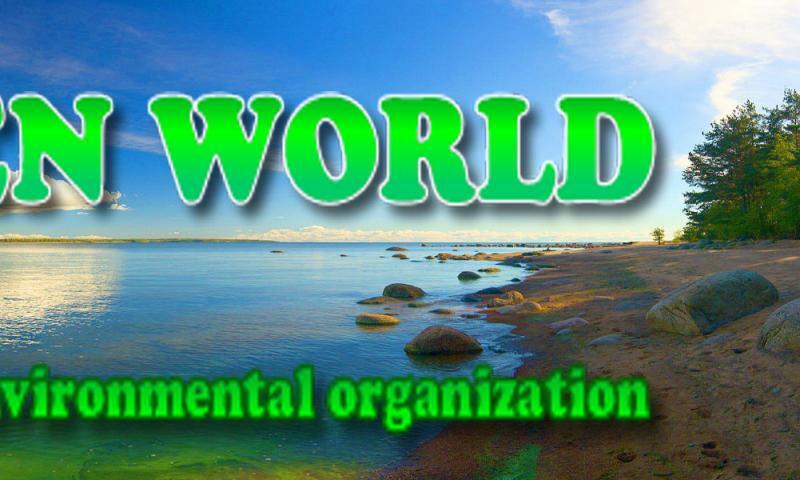 Baltic Newsletter of the GREEN WORLD No. 64, March 27, 2001. 9. L. Romanova, "Reconstruction of the Last of the Mohicans at the final stage". "Vestnik LAES" (NPP Herald), No.14, April 13, 2001. 11. Safety Culture. A report by the International Nuclear Safety Advisory Group. Safety series No.75-INSAG-4\International Atomic Energy Agency, Vienna, 1990. 12. Newspaper "Vestnik LAES" ("LNPP Newsletter"), Sosnovy Bor, 23.08.1996. 13. Newspaper "Leningrad Oblast News", St. Petersburg, 19-31 10.2000. 14. The LNPP SNF operator job description, 1997. 15. Newspaper "Vestnik LAES", Sosnovy Bor, 9.01, 13, 27.02,10.04.1998. 16. Bulletin "Energy and Safety", No.4, 1997, USA. 19. Newspaper "Mayak" ("The Beacon"), Sosnovy Bor, 1.06.1996. 20. Newspaper "Vestnik LAES", Sosnovy Bor, 24.07.1998. 21. Newspaper "Vestnik LAES", Sosnovy Bor, 23.07.1999. 22. Newspaper "Sosnovoborsky Stroitel" ("The Builder of Sosnovy Bor"), Sosnovy Bor, 2.09.1999. 23. Newspaper "Sosnovoborsky Stroitel", Sosnovy Bor, 4.07.2000. 24. Newspaper "Sosnovoborsky Stroitel", Sosnovy Bor, 19.03.2001. 25. Newspaper "Mayak", Sosnovy Bor, 20.03.2001. 26. The LNPP director regulation of 03.11. 2000. 27. Newspaper "Vestnik LAES", Sosnovy Bor, 07-14.08.1998. 28. Federal newspaper "Kommersant", Moscow, 13.02.2001. 29. Newspaper "Leningrad Oblast News", St. Petersburg, №11, April 2001. 30. Inquiry about the LNPP financial and economic activities, 29.04.1996, St. Petersburg. 32. Federal newspaper "Kommersant", Moscow, 13.09.2000. 33. Newspaper "Vestnik LAES", Sosnovy Bor, 16.03.2001. 34. Newspaper "Vesti" ("The News"), St. Petersburg, 20.03.2001. 36. "SOSnovy Bor" about the conditions in the LNPP spent nuclear fuel storage facility, autumn 1996, Bulletin "Baltic Region - Our Habitat", No. 5. 37. "SOSnovy Bor, a year later", about the reaction of Sosnovy Bor authorities and LNPP management to report on the SNFS conditions, Baltic Region - Our Habitat, Nо. 6, winter 1997-1998. 38. ACT OF TERROR? ELEMENTARY, WATSON! about the inadequacy of the LNPP security system, "Mayak" newspaper, Sosnovy Bor, January 28, 1995. 40. IN THE WRONG SHOES, about the industrial safety violations and psychological climate at LNPP, "TeRa Press" newspaper, Sosnovy Bor, November 20, 1997. 41. "QUO VADIS, LAES?" ("Where are you heading LNPP? "), about the violations of Russian legislation in the SNF storage), "Mayak" newspaper, Sosnovy Bor, April 14,1998. 43. THE STATE'S SLEEPING EYE, on the inefficient Gosatomnadzor (The State Nuclear Regulatory Body) enforcement of the LNPP safety, "TeRa Press" newspaper, Sosnovy Bor, October 21 1999. 44. ACTS AND FACTS, on violations in the fire prevention regulations at LNPP. "Mayak" newspaper, Sosnovy Bor, July 13 2000. 45. LNPP TO BE CONTROLLED BY THE PUBLIC, about the low level of safety culture at LNPP and the necessity of public control of its operation, "TeRa Press" newspaper, Sosnovy Bor, No. 40, 42, October 2000. 46. Newspaper "Vestnik LAES", Sosnovy Bor, 8.06.2001. 47. Newspaper "St. Petersburg Courier", June 28 - July 4, 2001. 48. Newspaper Aftenposten, Norway, May 11, 2001. 49. Newspaper "Vestnik LAES", Sosnovy Bor, 22.06.2001.